Can Sri Lankan official passport holder get visa on arrival? 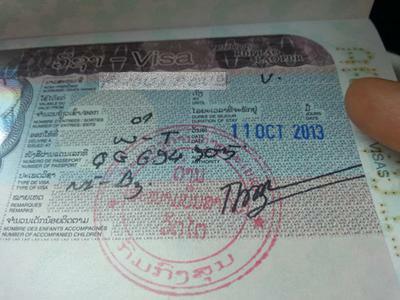 Laos for official trip. Could I get on arrival visa with recommendation of Laos ministerial letter? Comments for Can Sri Lankan official passport holder get visa on arrival? As a Sri Lankan official passport holder you CAN pick up your Lao visa on arrival provided that you have a letter of approval (also known as letter of guarantee) from Laos. The letter is issued by Ministry of Foreign Affairs in Laos. You have to make sure you arrive in the port of entry (e.g. Airport or border check point) designated. Usually when they issue the letter to you, they also issue another letter to the port of entry that you will arrive in, to inform them that you'll pick up your visa there. Your intended port of entry is indicated in the form to request for letter of approval by your representative at the time he/she submits the form to the Ministry of Foreign Affairs in Laos. I'm not sure if the letter of approval given to you also indicates the port of entry. In theory it should.